Published: Sept. 9, 2011 at 12:02 a.m.
(9:37) (Shotgun) D.Brees pass short middle to M.Colston to NO 35 for 12 yards (N.Collins). FUMBLES (N.Collins), RECOVERED by GB-T.Williams at NO 36. T.Williams to NO 36 for no gain (O.Kreutz). Published: Sept. 8, 2011 at 09:16 p.m.
Packers S Nick Collins forces Saints WR Marques Colston to fumble, which CB Tramon Williams recovers. Published: Feb. 6, 2011 at 08:19 p.m.
(3:34) B.Roethlisberger pass deep left intended for M.Wallace INTERCEPTED by N.Collins [H.Green] at PIT 37. N.Collins for 37 yards, TOUCHDOWN. PENALTY on GB-N.Collins, Unsportsmanlike Conduct, 15 yards, enforced between downs. 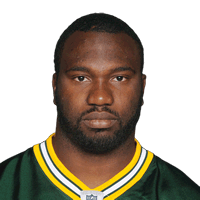 Published: Feb. 6, 2011 at 06:21 p.m.
Safety Nick Collins intercepts a Ben Roethlisberger pass and returns it 37 yards for a TD to give the Packers a 14-0 lead.